Holistic Dentistry – What is Holistic or Biological Dentistry? Searching for holistic dentist near me? Look no further, we are a holistic dentist practice located in the Maryland, DC metro area in Burtonsville Silver Spring. Holistic dentists are also known as biological dentists. A holistic dentist is one who believes your teeth are an integral part of your body and your overall health. Further, a dentist who understands your oral and dental health can have a major influence on other disease processes in your body. The primary aim of biological dentistry at Maryland Holistic Dentist is to treat dental problems while working in harmony with the rest of your body. 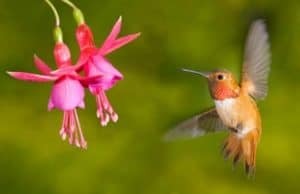 In addition to working in a fluoride-free, mercury-free and metal-free office, we perform many natural procedures and adjunctive holistic techniques that greatly improve the quality of dental care in our practice. A few of these services include ozone therapy, metal free zirconia implants, prf in implants and wisdom teeth surgery. As a holistic dental practice, our mission at Maryland Holistic Dentist is to provide thorough care, using bio-compatible dental materials, minimally invasive procedures, and recommendations intended to prevent future disease, discomfort, and damage. 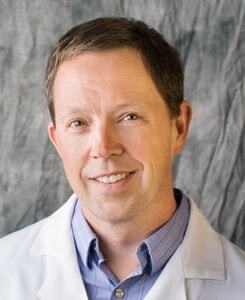 By detecting symptoms that signify potential problems, our highly trained holistic doctor can address issues before they cause future oral and other health problem. Our holistic dentist has been trained and follows the protocol for mercury amalgam removal and are accredited members of the International Academy of Oral Medicine and Toxicology, known as IAOMT. We wear special safety masks and remove the mercury fillings with a special suction and air filtration system. Maryland Holistic Dentist offers metal-free dentistry with all porcelain or resin restorations. Ozone and Oxygen gas can be delivered into tooth cavities, tooth extractions sites, diseased gums, infected root canals and really has hundreds of different uses in medicine and dentistry. Oxygen-ozone gas neutralizes infection and promotes healing in vital tissue. Thousands of teeth in our practice have been saved from root canals, by remineralizing decayed teeth and neutralizing bacteria and fungus trapped in the pores of teeth and jaw bone. Sometimes called the cosmetic tooth implant because it is white and tooth colored. The cosmetic benefits to tooth colored implant are obvious. 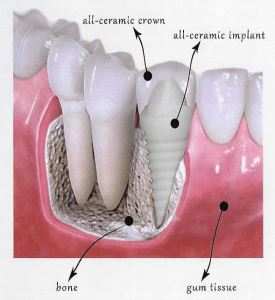 Less obvious are the potential health benefits from non-metallic and non-corrosive ceramic-zirconia implant materials. The fact that zirconia does not conduct electricity is huge, but with some patients having so many different metals in their mouth, the addition of another increases the electronic potential and magnetic field. 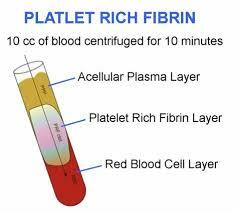 Platelet Rich Fibrin is obtained from drawing same patient’s blood, spinning it in a centrifuge and isolating a yellow jello-like substance called PRF. 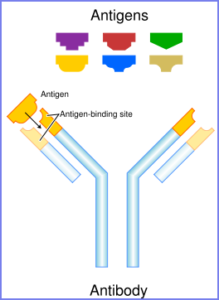 PRF is a mixture of white blood cells, fibrin, platelets and bone growth factors. PRF preparations can be used to promote growth and regeneration in bone, gum tissue and healing dental implants. PRF is also very helpful in getting tooth removal sites to heal properly. In general, PRF will assist in helping sites heal and regenerate, faster and better with less pain and swelling. We offer Testing for those in need of dental material biocompatibility and mercury toxicity testing. This can become especially helpful for people with metal fillings and crowns or other materials they may be allergic to or sensitive towards. Among the most reactive dental materials are root canal materials and adhesives, metals in older crowns and to a lesser extent, filling materials and crown and bridge cements. Mercury testing is helpful to see what level of metal toxicity may be present prior to and sometimes after amalgam mercury filling removal and detox. Mercury is used as a filling material in dentist offices. What patients don’t know, is that mercury fillings are made up of over 50% of mercury which is the most toxic substance on earth. We use safe methods to remove mercury fillings and replace them with porcelain BPA-free white fillings. 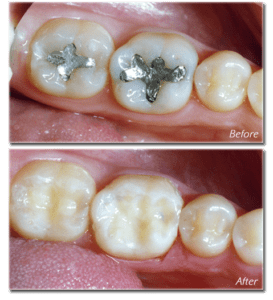 We use techniques that minimize the harm which amalgam can cause. We also use rubber dams, and high suction evacuation, we remove mercury fillings safely. The goal of natural holistic biological dentistry is to provide thorough care, using bio-compatible dental materials, minimally invasive procedures, and recommendations with the intention to prevent future disease, discomfort, and damage. A holistic dentist is often referred to as an organic dentist, a green dentist or an integrative dentist. By detecting symptoms that signify potential problems, our team can address issues before they escalate to cause further oral and overall health concerns. At Maryland Holistic Dentist, we also offer BPA-free porcelain fillings, a chemical found in many plastics, and it has negative health and environmental impacts.